Moving from Saudi Arabia to London, Alhatlan set out to pursue her pre-med studies on a scholarship. Only shortly thereafter she found out she needed to make a back-up plan in order to pursue her academics on her scholarship at another university. Little did she know her plan B would bring her to ASU by way of Washington State. It took a fair amount of convincing from her friend attending Arizona State University, but Alhatlan made the decision to transfer from Washington to ASU to get her degree in biochemistry. Adwa Alhatlan with Science is Fun interns at ASU Homecoming 2018. Adwa Alhatlan giving a Science is Fun demonstration during ASU Homecoming 2018. While at ASU, Alhatlan was a student intern in the Science is Fun with Professor James Klemaszewski. Through Science is Fun, Alhatlan gave hands-on demonstrations during Homecoming, hosted local high school science classes visiting the ASU campus and participated in local community events. Alhatlan said this class was a lot fun to interact with kids and show them science experiments. "Adwa was an excellent intern in ASU Science is Fun outreach program this fall," said Professor James Klemaszewski, School of Molecular Sciences instructor. "Not only did she do a great job with teaching and communicating science to high-school students, she also made the most of the opportunity and gave them great advice about college and being a student at ASU." Alhatlan took a Earth Systems Engineering and Management class with Professor's Braden Allenby amd Bruce Marsh to gain perspective on real life situations and expand her world view. 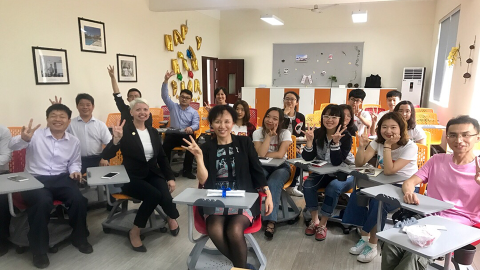 Within this course she found not only help and support from her professors, but they encouraged her to reach her full potential. Bruce Marsh, Professor of Practice in the School of Earth Sciences and Engineering added, "Adwa is a bright engineer who scored an A+ in CEE400. She works extra hard to stay on track and met every deadline while overcoming some challenges this semester to find victory. She is destined to be a great engineer. Sparky is so proud!" After graduation plans are not made as of yet, and that’s okay with Alhatlan. Sometimes it’s just best to not plan and see where life takes you. 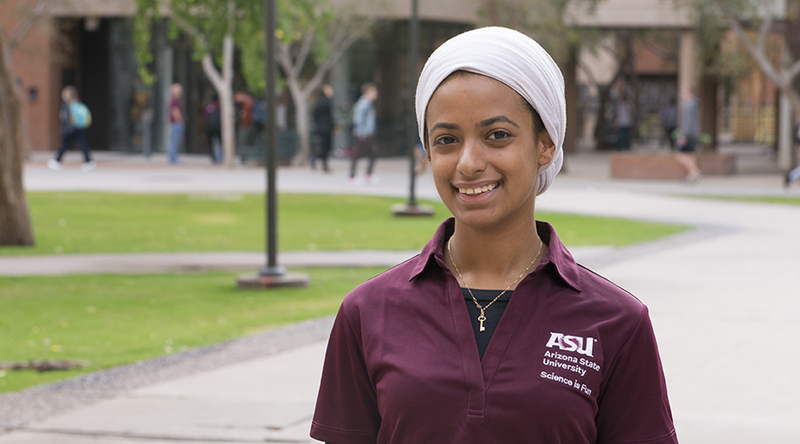 Alhatlan took a few moments to share her experience here at ASU and offer some advice to students. Answer: I actually wanted medicine as major and started to my pre-med in London. Due to my scholarship, my major was not accepted there and I wanted to have a plan B to medical school. I love chemistry and biology. I realized then that that could be my major. A: I learned that using my opportunities would help me grow in my education and also in myself. Joining clubs, study groups, working, and volunteering are very great in building your knowledge and your character. A: I know a lot of the students here, and my friend convinced me into going to ASU. A: Professor’s Marsh and Allenby. Their CEE 400 course not only taught me about engineering, but also lifetime situations. They relate their course with things that could help you in your job, how to converse with people, and many other things. A: Major in what you find interesting, and use your opportunities to expand your experiences. A: I like to study in a library, it makes me focus on finishing my tasks especially when I am alone. To meet friends, I always like to explore a new place. The campus is so beautiful to choose a favorite spot. A: I still don't know, but that is okay. I will see where life takes me. I may continue med school, I may want to have my masters, or I may just want to start working. A: I would provide a home for every person that couldn't afford one.